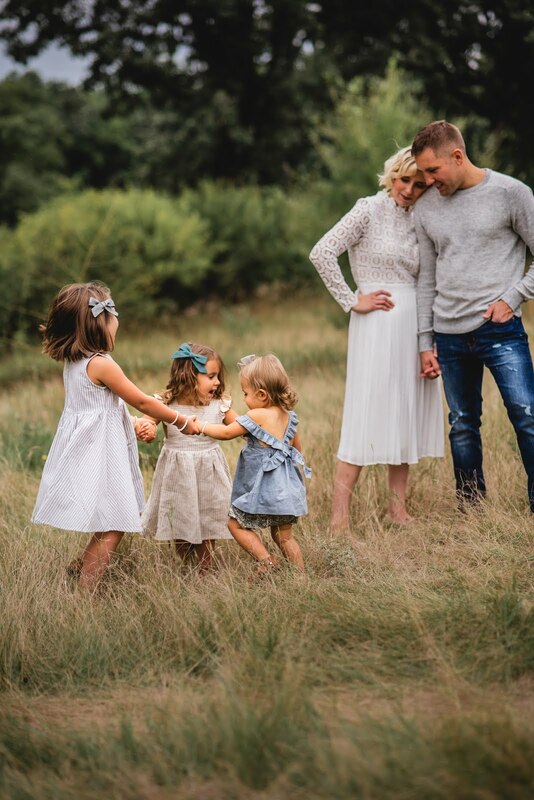 Things have been quiet on the blog lately as we've been focusing on enjoying the start of summer with our girls and celebrating Dustin's new promotion, which is keeping him extra busy. Olivia starts soccer and swimming this week and she is so excited. She did swimming in the Fall but hasn't ever done soccer before; I can't wait to watch her practices and games. And because we're already two weeks into June (when did that happen??) 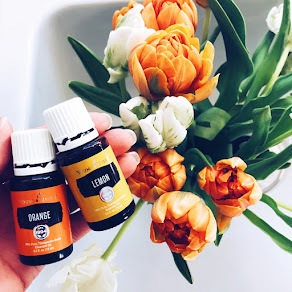 I wanted to share my June Love List before the month is over! If you haven't yet heard of The Trendy Timber, I guarantee you will fall in love with just one look at their gorgeous handmade wooden signs. Known for their classic round name signs (available in three sizes...24", 18" and 12"), The Trendy Timber is run by husband and wife team Scott and Kelli out of Forest Grove, Oregon. 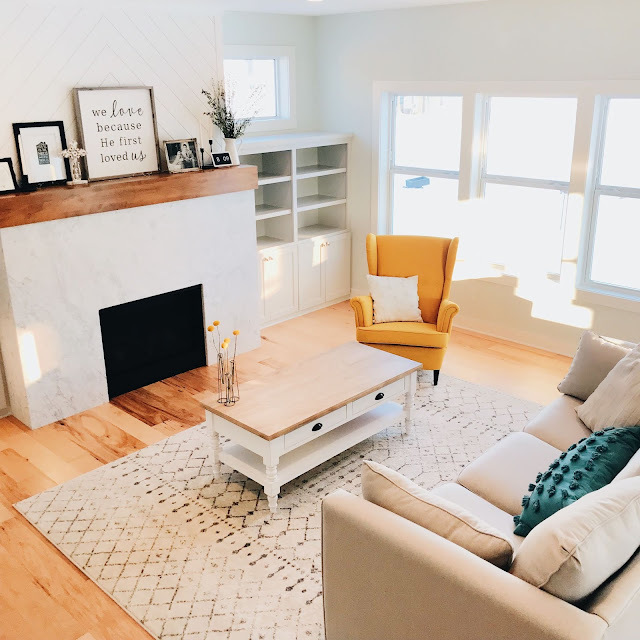 The Trendy Timber was started by Kelli shortly after she found herself as a stay at home mom wanting to fuel both her creative DIY side and contribute financially while her husband was in Optometry school. Together her and her husband create each piece start to finish and offer countless customizations, including a variety of beautiful fonts, colors, decorative elements that can be added (such as mountains or flowers), stain options and more. I had so much fun working with Kelli to design this 24" sign for Adaline's nursery and knew I wanted something super simple, classy and timeless, so of course black and white was the perfect color scheme. Over on instagram, you can find the shop's main account @thetrendytimber and see a peek at all the incredible pieces they are making, but for all the details on font choices, colors, sizes, pricing and more, visit @thetrendytimbershop. Kelli suggested special walnut for the stain so the black and white lettering would really stand out and it is a perfect match with the frame of the sign above her crib. When I walk by her room in the hallway, her name sign is the first thing that catches my eye and it truly couldn't be more perfect for the space for our baby girl! If you're wanting to order your own sign from The Trendy Timber, here is how it works. Kelli opens up her shop on the 1st of every month at 8am PST for a limited amount of orders (usually 100-200). They sell out fast, so you will want to have an alarm set and your customizations typed out to put in the Message to Seller box at checkout. You buy a sign at a base price ($15 for a 12" round, $30 for an 18" round and $45 for a 24" round) and from there it is $4 per character. I was amazed Kelli was able to fit Adaline's whole name, because it is quite long! If you browse @thetrendytimbershop on instagram, you can see all the font choices, color choices, add-ons and more. 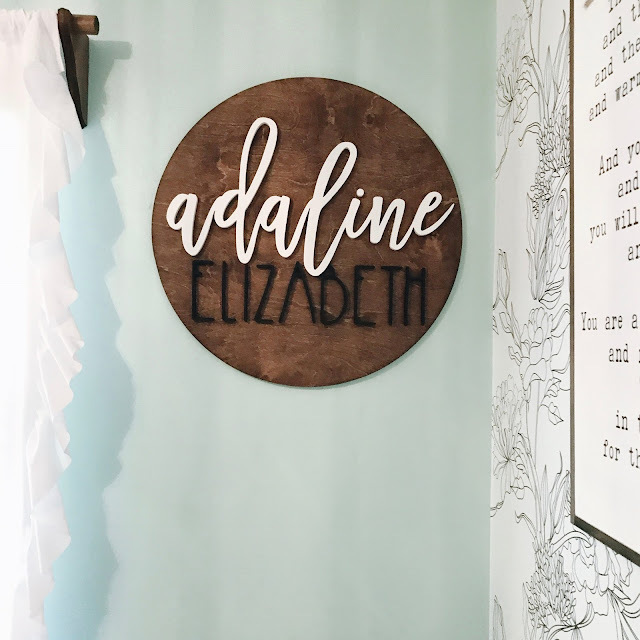 We chose the madina font for adaline (in color 66) and hipster font for elizabeth (in color 61), then the special walnut stain and 24" round sign. You also enter to win a custom sign over on my instagram @blessednestblog today through Friday June 16. They are the perfect addition to any nursery, playroom, child's bedroom and more. And would certainly make the most thoughtful gift as well! Another custom piece that was created for Adaline's nursery above her crib is a 30"x30" wood sign with text I pulled from one of my favorite children's books and the very first book I purchased when I found out I was pregnant with Baby #3. I had the opportunity to work with Melody of The Peddler's Shed to create this piece using words that just touch my heart. She completely brought my vision to life in the very best way and after hanging the sign up and seeing it over her crib while she sleeps, I honestly cannot imagine a more perfect piece in the space. Another incredible husband and wife team (I think Dustin and I need to start a shop, huh?? ), The Peddler's Shed offers "perfectly distressed items that inspire and enhance the coziness and comfort of your home sweet home." I love how they put it on their website, "we believe in homemade and handmade" -- that sentiment perfectly captures their wide selection of pieces and their incredible attention to detail, customization and execution in creating the perfect sign for your home. 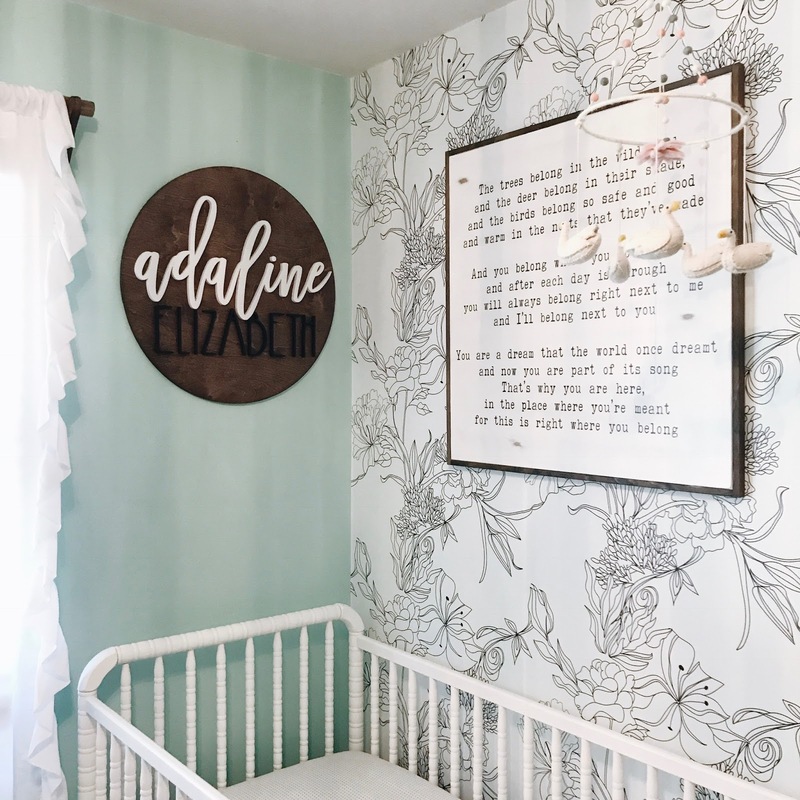 Now through the end of June you can save 20% on your total purchase from The Peddler's Shed by entering BLESSEDNEST20 at checkout, including the You Belong Here sign I designed with Melody for Adaline's nursery. In the summertime the girls are often barefoot in the backyard or at the beach, but for when they do need to wear shoes, I have been loving the new sandals from Freshly Picked. Their leather moccasins are my go-to shoes for Penelope and Adaline and have been since I first tried them back in 2013 after Olivia was born, but having an option for the summer that Olivia can also enjoy has been awesome. Their sandals are available in 4 colors and made using a water resistant leather and durable rubber sole; they recommend sizing up from the moccasin or shoe size your child usually wears, so I went with a 12 for Olivia (she wears toddler size 11 in most shoes) and a Size 6 for Poppy (she wears size 5 in most shoes and 4 in her FP moccasins). We also LOVE their newly released Mary Janes, they are so feminine and fun with the darling little scallops and comfy enough to wear all day! Since moving into our first house in 2012, we have transformed it room by room, renovation by renovation. We got married in September 2012 and by October, we were pregnant with Olivia. That winter (2012-2013) we completely renovated our basement. Shortly after, we renovated our basement bathroom and laundry room. During my second pregnancy with Poppy, in 2014-2015, we renovated our master bathroom (good thing I know a master licensed plumber) and then in summer 2016, we began demo on our kitchen right after Olivia's 3rd birthday and a few days later, found out we were pregnant with Baby #3. During the third trimester of my third pregnancy, we then did a small renovation on our master bedroom and thankfully, the entire house is now complete! My best friend jokes that if a renovation is happening, pregnancy and babies are soon to follow. All this to say, we love home projects. And despite the challenges that come with renovating (especially when you're pregnant and very nauseous in the hot summer and taking care of two kids without a kitchen...), we have loved seeing the transformation from our house to a home and really having the opportunity to put our stamp in every single room. 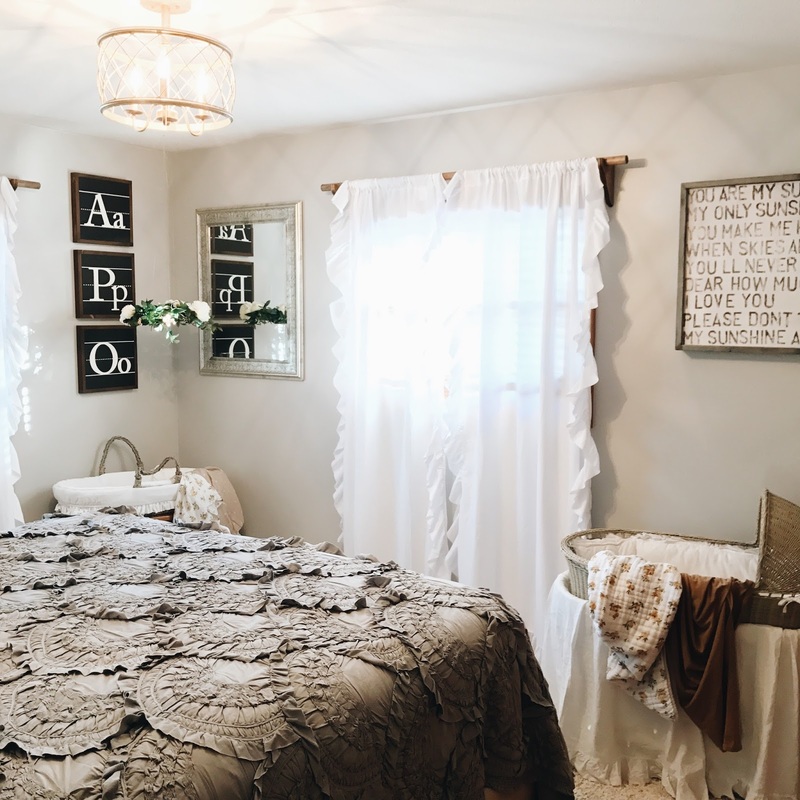 A super simple DIY project that doesn't involve nearly as much work as a major renovation are these DIY curtain rods, inspired by Restoration Hardware. We initially had super simple, basic black rods up in all the bedrooms and this past Spring we took those down and created four sets of these super simple rods. They are timeless and took less than an hour to make. Our favorite curtains are these in white. We have them in all the girls' rooms and in our master bedroom; they are so light and airy and totally what I picture hanging in an old farmhouse.